PRICES ARE ACTUALIZED BY THE RUBLE COURSE AS OF 24.04.2015 (0.45 CPC). PRICES MAY CHANGE. REFINE AT THE BOOKING. Cottage "Family" № 56 is located in the recreation center "Scythian" in 200 meters from the sea. 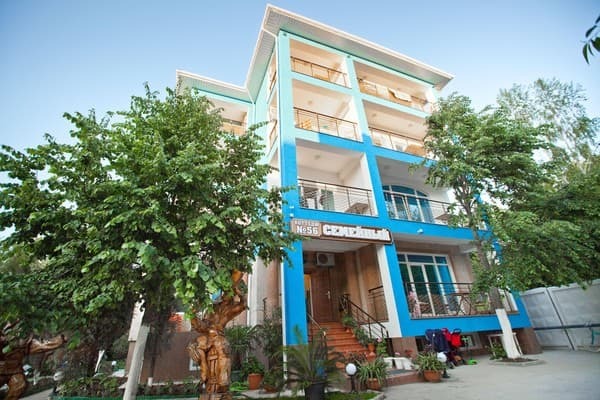 The hotel offers 2-, 3- and 4-bed rooms, each with a refrigerator, air conditioning, satellite TV for 8 channels, Wi-Fi Internet access, a safe, a bathroom (shower, toilet, washbasin). Some cottage numbers have balconies. Uninterrupted water supply. A hairdryer, iron and ironing board are available on request. 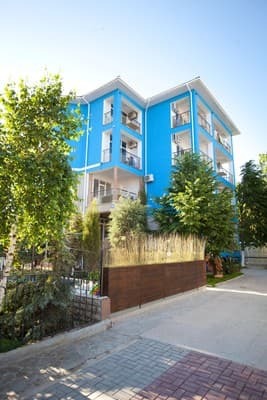 Description of the room: One-room numbers of 20 square meters, each of which - a refrigerator, air conditioning, satellite TV for 8 channels, safe. Some cottage rooms have balconies. 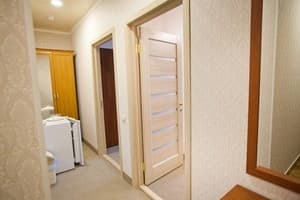 Description of the room: The spacious rooms are 25 square meters in size, each with a refrigerator, air conditioning, satellite TV with 8 channels, and a safe. Some cottage rooms have balconies. The cost of additional space is 80 UAH / day, for children under 10 years - 50 UAH / day. Children under 5 years old receive a 40% discount, children under 7 years old - 20%. 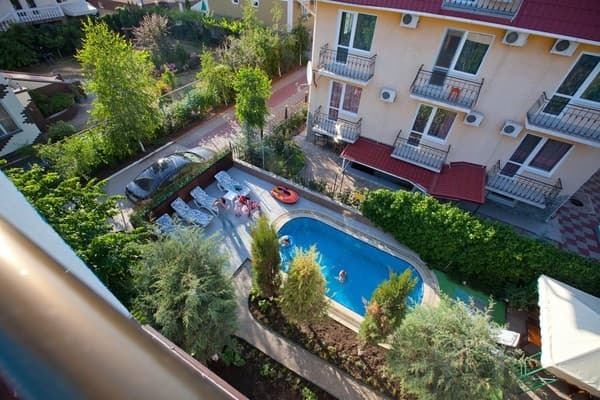 Guest house "Family" № 56 is located in the recreation center "Scythian", 200 meters from the sea. The distance to the railway station of Simferopol is 43 km. From the auto or railway stations in Simferopol by shuttle to the final stop in Nikolaevka. The journey takes about an hour. The distance from the stop in Nikolaevka to the hotel is 1 km.